A $52 billion basic income plan promised by India’s main opposition Congress party if it’s voted to power sounds like tonic to the economy, but is short on details on what it means for the nation’s fiscal consolidation path. The plan, which promises income support of as much as Rs 72,000 ($1,046) a year to 50 million families and announced Monday, left economists looking for answers on how this would be rolled out without breaching the budget deficit goal of 3.4 per cent of gross domestic product for the fiscal year starting April. Existing subsidy handouts are already putting pressure on the deficit targets. Income support is a hot topic as India prepares for elections starting April, with Prime Minister Narendra Modi’s government already announcing more than $10 billion of cash handouts to about 120 million farmers. In the process, the government widened its fiscal deficit targets for the current financial year and the next. 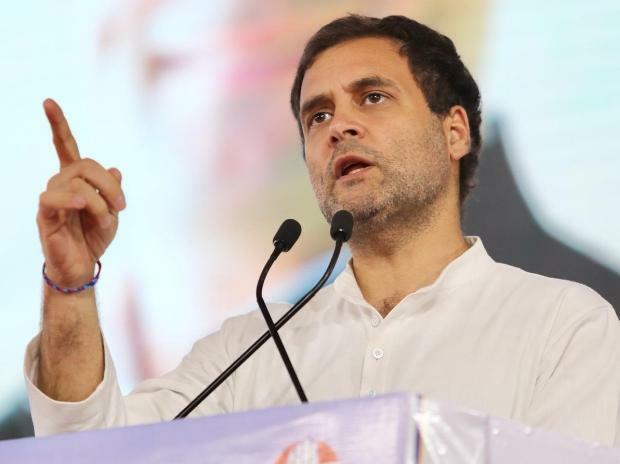 The Congress hasn’t said how it would deal with Modi’s handout to farmers or whether it will trim 9 per cent of the budget the government already spends on food, fertilizer, fuel and other subsidies to the poor. The federal government alone runs about 950 central sector and centrally sponsored sub-programs that cost about 5 per cent of GDP. The Congress will more likely merge certain subsidies and hand out cash to the people in phases, letting them decide how they want to spend it, said Madan Sabnavis, chief economist with Care Ratings Ltd. in Mumbai. Weak domestic demand and a global slowdown is weighing on economic growth, which slowed to 6.6 per cent in the quarter to December. A minimum income set at Rs 72,000 annually would cost about 1.3 per cent of GDP and benefit the bottom 33 per cent of Indian households, representing a substantial improvement in living standards for the poorest segments of society, according to a report by Nitin Bharti and Lucas Chancel of Paris-based World Inequality Lab.